At Tyler Kung Fu & Fitness you will learn an effective and complete martial arts system, known as the 7 Start Preying Mantis Style of Kung Fu. 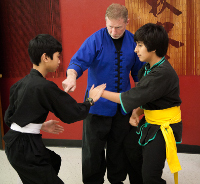 Classes are available for Children, Teens, and Adults as well as Family Classes. Private instruction is also available to accommodate to your busy schedule. In every class, you will benefit from a balanced blend of stretching, warm-ups, calisthenics, strength training, and learning fighting techniques in a safe and friendly environment. 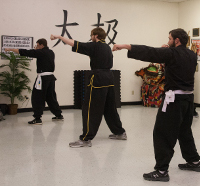 Tyler Kung Fu & Fitness promotes the traditional notion of "Kung Fu family." We encourage you to create relationships and make lasting friendships with other students. We believe the most productive learning experience is one void of intimidation and wreckless behavior. We work diligently to maintain the cleanest, most professional martial arts school in the Tyler area and we would love for you to be a part. Please contact us to setup an appointment or learn more about our facilities. Little Mantis classes are fun and jam-packed with kicks, punches, blocks, and tumbling, all designed to improve your child's motor skills while teaching self-defense. E - Escape: RUN FROM DANGER! NEVER HANG AROUND AND FIGHT IF YOU CAN FIRST RUN AWAY. Super Mantis classes are awesome! 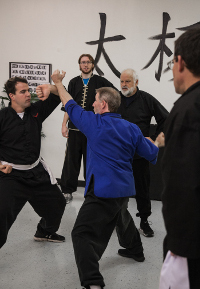 At this level, students begin testing their skills with sparring and cool weapons. For safety, all weapons and sparring gear are padded. 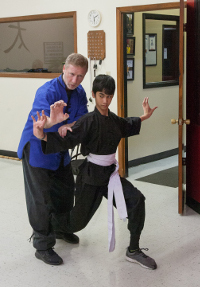 Seven Star Praying Mantis is the primary style taught at Tyler Kung Fu & Fitness. It is a complete system utilizing both the hands and feet in combination with submission and throwing technique. This system is known for its quick and extremely effective self defense applications. The legendary Wong Long, developed this system while spending his days at the Shaolin Temple. 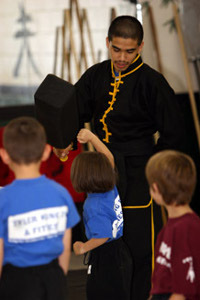 Taking the best techniques from 17 other styles of the time, Wong created one of the most effective fighting systems ever developed in China. This system includes striking and kicking as well as joint locks, throws, and close quarter techniques. Seven Star Praying Mantis Kung Fu focuses on learning to effectively use the attackers own force against them. This includes evading and balance disruption techniques and also focuses on strengthening and conditioning the body. With an emphasis on principles over specific techniques, practitioners are better prepared to deal with dynamic situations that occur in actual combat. 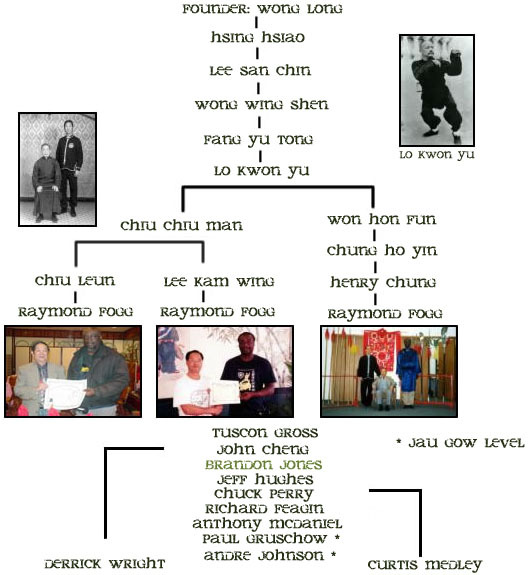 The graphic on the right depicts the lineage that can be traced from the founder of Tyler Kung Fu and Fitness (Brandon Jones) all the way back to Wong Long, the original founder of Seven Star Praying Mantis Kung Fu.